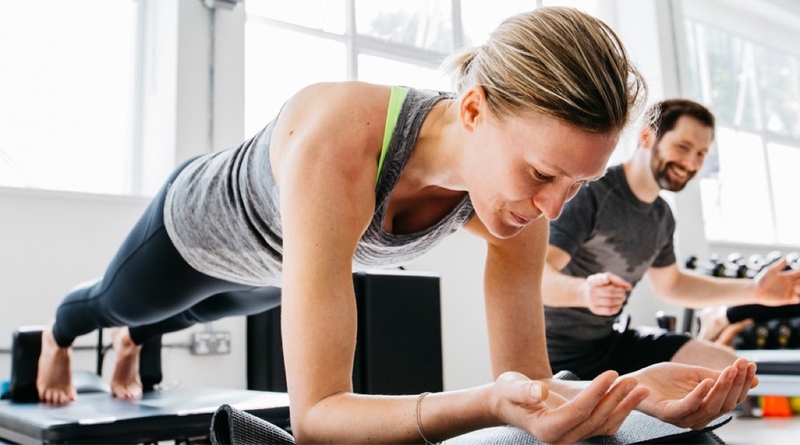 A fitness studio has opened in London and it's embracing wearable tech to help gym-goers track their performance in real-time. The Opus studio uses the MyZone monitoring system, allowing clients to view their heart rate, calorie burn and individual effort level throughout the session. Trainers can also view the duration and intensity of training while they are away from the fitness studio. David Kingsbury, who runs Opus, believes the use of wearables enables clients to get results at a faster rate. "We love data. We use advanced measurement protocols to keep a watchful eye over our clients' weight, body fat percentage, joint range of motion, lung function, blood pressure and many other health markers," he said. "To allow us to utilise this knowledge, we use MyZone in our studio. MyZone is an effort monitoring system which enables us to accurately track our clients' performance live on a TV screen inside the gym. "The client simply has to wear the heart rate belt whilst training and upload the results through their smartphone app — which we can see from anywhere in the world." While this might appear as a window into what gyms could offer in the near future, the use of tech could also provide medical assistance. Some Opus clients have been referred by a hospital or physiotherapist, meaning the heart rate tracking can assess how quickly they're recovering, as well as their general level of fitness. Of course, heart rate isn't the ultimate metric when it comes to tracking overall health, and there's more to progress than simply burning increasing amounts of calories. Those who prefer to pump iron in the gym, for example, wouldn't necessarily gain anything from the MyZone system. However, there's a bigger point at play here. The more accepted and in-built wearables become in gyms, the better for those looking to understand and see progress on a sustainable level. The tech doesn't have to represent the be-all and end-all for users, but there's no doubting it can assist.